Today it is actual winter. Colder than I thought it would ever be here in Zambia. Good thing is it only last for some days. Not months like in Sweden. Otherwise we are settling in quite well. Alice has started a school near by our home and she seams to like it. 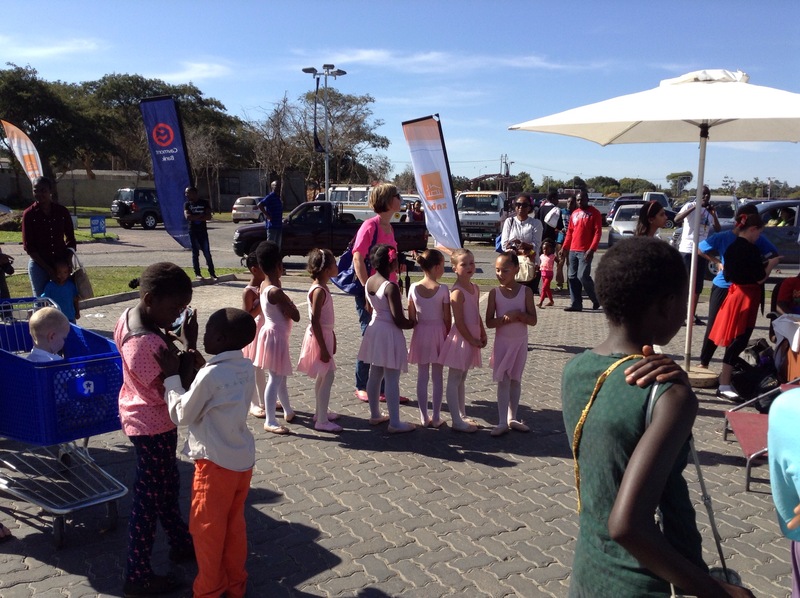 She has been performing with her ballet class at the mall and they did so well. Sylvia is adapting in her own crazy way. She has had three colds and malaria already but now she has recovered and seems to be well. She is happy all the time anyways and loves the fact that we are in a house where she can run back and forth all the time. Mayani is still looking for jobs, he is leaving papers anywhere and everybody else seems very sure that he soon will get a job. He spends all other time to fix aroumd the house and things are surely going forward. Soon time for an update on the house again. We are planning to put flat stones around the house as the next big project and that will make a huge difference. Me am getting in to life here too, finding friends and things to do. Follow us more on Instagram where I am jchangala where I almost daily put photos from our every day life! Hey Michelle! We dont have an adress yet. Have to get a postal box and there is a line. Maybe email me for now :-). Jennychangala@gmail.com.